Please select the correct adjective to complete the sentence. 11. This (ADJECTIVES CARD 37) movie was so (ADJECTIVES CARD 49) the audience laughed throughout the (ADJECTIVES CARD 10) show. 12. Parents are (ADJECTIVE CARD 8) to try to prevent their children from seeing this (ADJECTIVE CARD 30) movie. 13. The (ADJECTIVE CARD 16) preview from the director will be released next summer. 14. Getting the academy award gave the actor (ADJECTIVE CARD 2) fame. 15. The movie had a (ADJECTIVE CARD 21) run, because it attracted a (ADJECTIVE CARD 14) range of generations. 16. 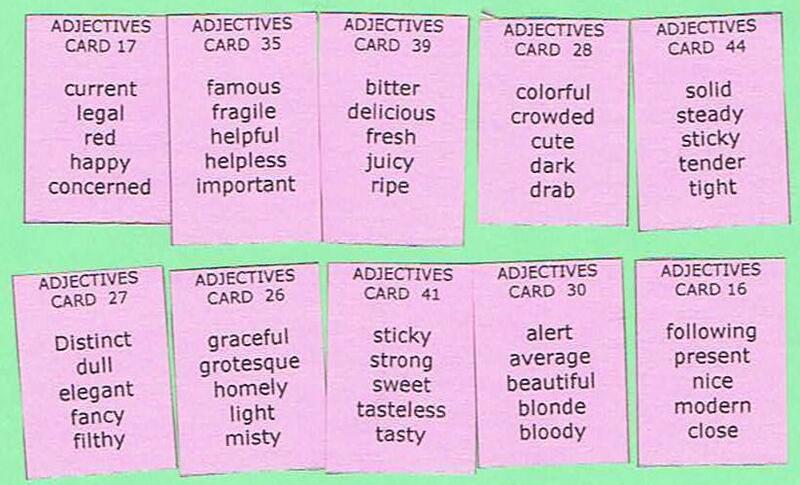 People are always disappointed seeing ( ADJECTIVE CARD 41) and (ADJECTIVE CARD 27) films. 17. A lot of people were touched by the (ADJECTIVE CARD 26) scenes and (ADJECTIVE CARD 44) story. 18. 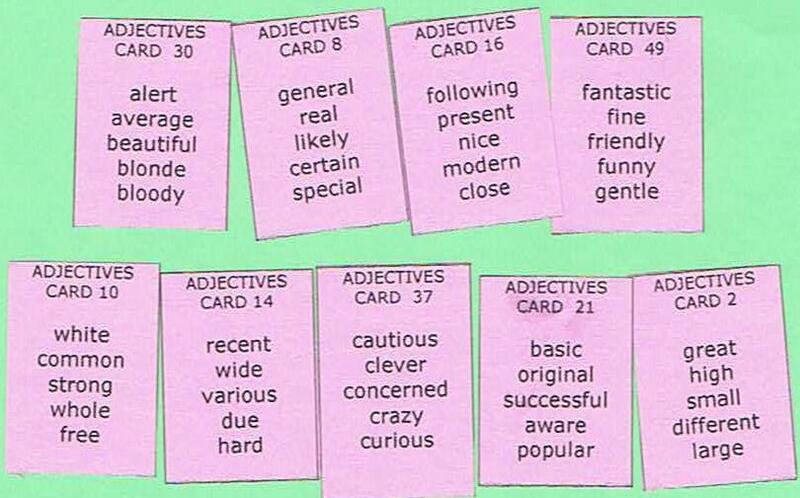 A (ADJECTIVE CARD 30) movie shows life with (ADJECTIVE CARD 28) scenes and (ADJECTIVE CARD 17) characters. 19. The ( ADJECTIVE CARD 16) film industry has been led by Hollywood. 20. The (ADJECTIVE CARD 35) scene created a (ADJECTIVE cARD 41) impression and is still (ADJECTIVE CARD 39) in the memory of people.